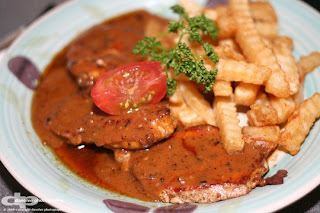 Like to try western food that serve in different style? Look no further. 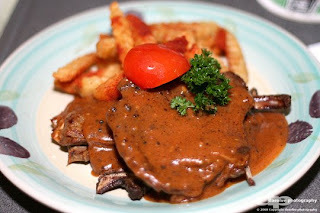 Have a try on Aussie style western meal! Chef himself learnt the skill from Sydney Australia and now operating in Miri to serve us Australian style cooking without the need of buying air tickets and travel. First off with something light. If you like salad, you can order something like chicken salad. 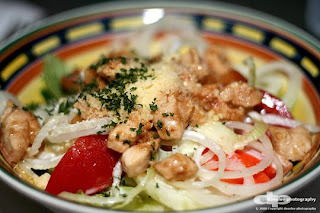 It served with big onions in slices, tomatoes, lettuces, i think there are carrots, juicy chicken cubes, dressings and finally sprinkled with some herbs. Great for those you wants something light for their dinner. One of my favourite done by them is fish and chip! 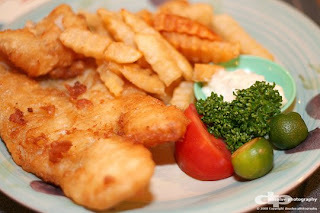 Unlikely fish and chips served by many places in Miri where most of them served with small fries, crumbled fish fillets, thousand island sauce and so on. This place however prepared their fish fillet in different ways by mixing their own flour for the coating and deep fried in high heat. Served with fries that are like finger sizes! Limes are used for sprinkling on top of the fillet to your likings and of course the dipping sauce which i think it is tartar sauce. You never try, you never know that you actually like it! I won't explain others in deep detail as pictures worth thousand words. They also serve pasta, steaks, chops, you name them! All in aussie style as far as i can see. Price however i think it is worthwhile comparing for you to travel to Australia and taste such meals. Portions are just nice and not too much. CHicken chops!!! i love it!! wif d salad...damn nice! 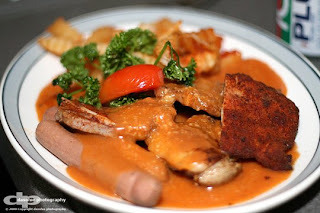 !a v big portion..price high le a bit...but wnt regret!yumyum! u guys know how long the chef has been working here??? i have been eating the chef food for yearsssss, so long already since he started working in this outlet. because he is my kin. 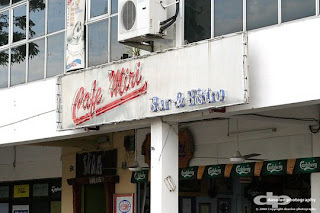 one of the greatest in miri, wad u guys think. if he would wan to open up his own outlet in the future, will u guys support him?? ?